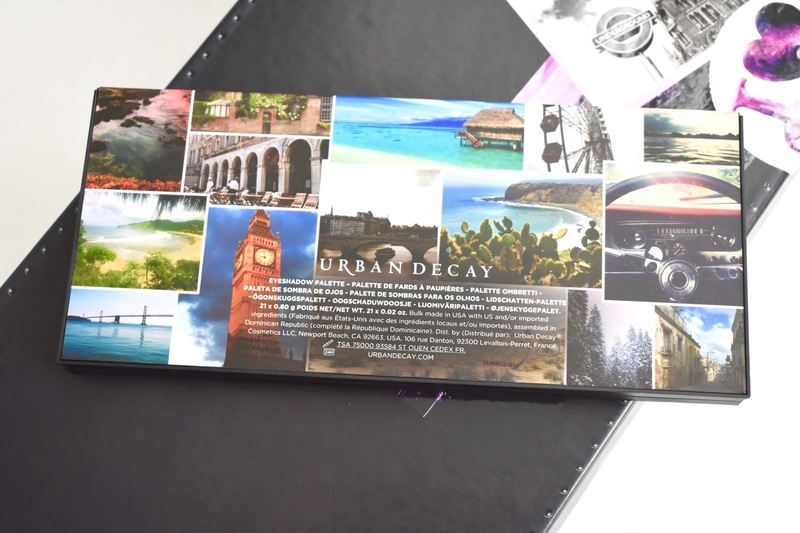 I'm all for palettes that have mostly everything you need all in one and is travel friendly. The new Urban Decay Born To Run Eyeshadow Palette has the shades you need to create a wide variety of looks when you are on the go. The palette comes with 21 eyeshadows ranging from neutrals to jewel tones and more. This is one of those palettes that can be used anytime anywhere since it is so convenient. Find out more and see swatches below. I really love a lot of the shadows in this palette, but I also love the packaging. 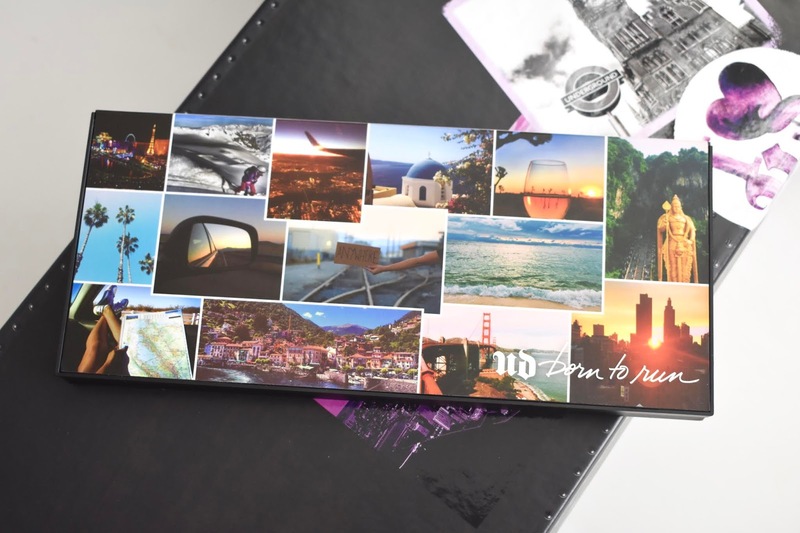 The palette is durable with a strong magnetic closure, a huge mirror inside, and slim enough to take on the go. I also really enjoy the vacation pics the palette has on the front and on the back. It's a great way to make it feel more unique and fun. You can expect some great quality eyeshadows in this palette and most of them are quite pigmented. I had no trouble with them applying to the lids and I always use an eyeshadow primer to make them last longer. A couple of shades did give me some trouble like Weekender, Good As Gone and Punk. For some reason these neutral shades didn't work well for me and ended up looking muddy on the lids. They aren't a loss cause though, I can make them work when I need to and I just take my time with them. With 21 eyeshadows, you are getting a nice variety to work with and it's a great way to have all the shades you need in one palette. I definitely recommend this palette and I hope you get a chance to check it out or pick it up in stores. The Urban Decay Born To Run Eyeshadow Palette retails for $49 and can be found on the UD website, Sephora, ULTA, and other retail stores.